3 Ways to Engage Participants | GoWall — Better Meetings. Guaranteed. Every meeting leader knows what it feels like to hold the undivided attention of every participant in the room. It’s a heady feeling, and a tangible validation that you’ve done something unmistakably right in the planning and execution of your meeting. But how do you capture 100% participation – and the value of the diverse input you get – every time? Do you want to hear the group’s complaints? Solutions? New ideas? The most effective meeting leaders go into every meeting knowing what they want to get out of their dialogue with participants. They design the dialogue around a goal, and that leads to getting what they want from participants. How does this impact engagement? Designing the dialogue ahead of time helps you think through who needs to be there and how they might contribute to the outcome. Having the right people in the room all but guarantees a meaningful conversation. We’ve all been in meetings where a few people did all the talking, even though we knew others in the room had something valuable to contribute. Research shows that in a six-person meeting, two people do more than 60% of the talking, according to Leigh Thompson, Professor of Dispute Resolution & Organizations in the Kellogg School of Management at Northwestern University. Meeting leaders can improve engagement by making it easy for everyone—outspoken extroverts, quieter introverts, and everyone in between—to have a voice. Thompson uses a process called “brainwriting” that requires participants to write their thoughts, rather than speak them. When meeting leaders give everyone an equal opportunity to share, they receive input and direction that helps them gain alignment and make better decisions. Have you ever witnessed a participant steal someone’s thunder because she talked faster than they did… or she just plain derailed the conversation? If so, you’re not alone. Mountains of research exist about how individuals contribute in group settings and how to manage them. In a 2010 article in Psychology Today, writer Nancy Ancowitz noted that extroverts “need to think out loud,” while introverts want and need time to consider their words. 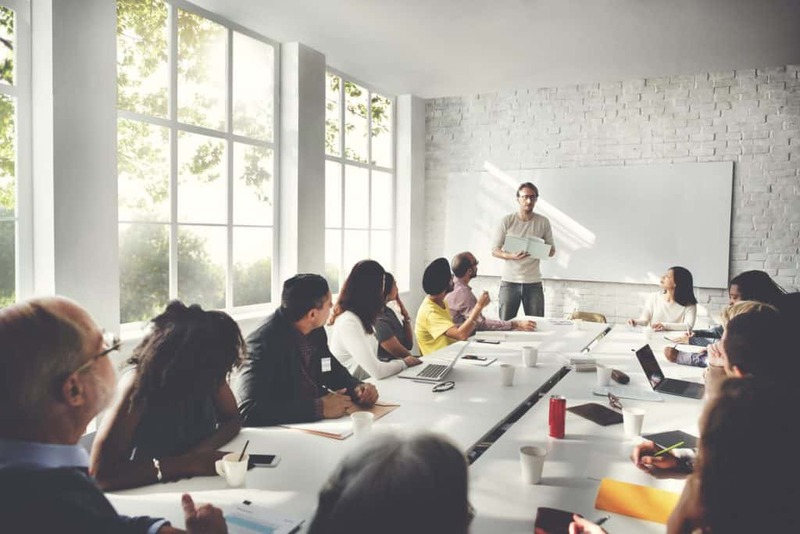 These three key factors of effective meeting design will improve the quality of your meetings and yield the outcomes you need to move your organization forward.